Valentine's Day is officially one week away! I'm sticking to my original goal of reviewing everything in my foodie stash that is related to this lovey dovey holiday before February 14th, but I don't want to flood your feeds with all things pink and heart-shaped. We still need some variety, and there's no shortage of goodies in my food stash, so I figured I'd toss a few of these shorter savory reviews into the mix. 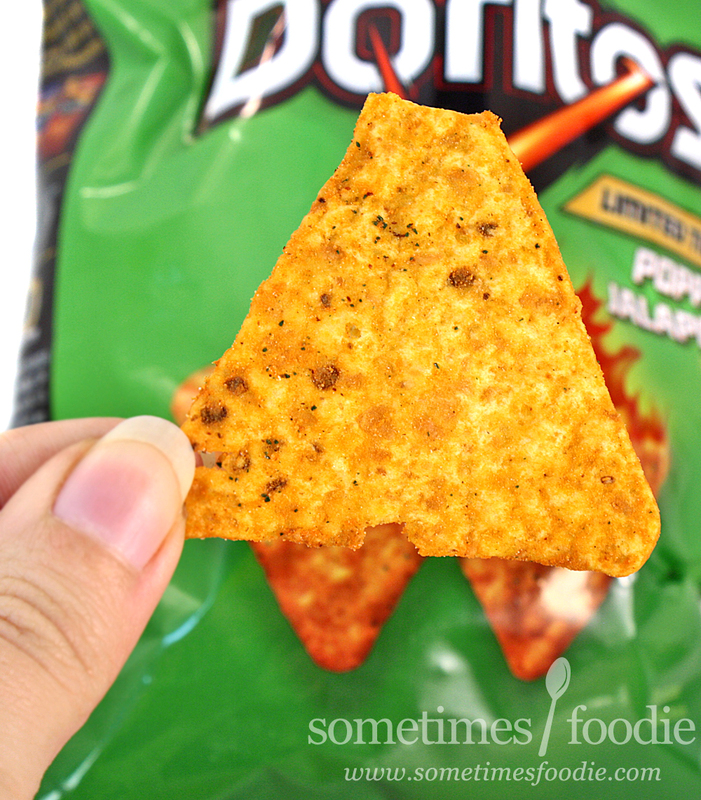 These Poppin' Jalapeño flavored Doritos are a re-released product, so they're not entirely new, but they're new to me since I've never had them before. As a lover of spicy snack foods, and a food blogger, I felt it was my duty to try these before they disappeared back into the limited edition foodie abyss. Okay, so back to the actual chips. 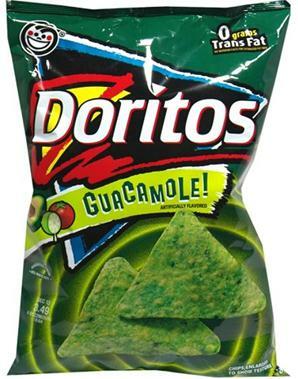 The bag may be green, but the chips are the classic yellow-y orange color with various spices and seasonings. These look like a love child of Cool Ranch and Nacho Cheese Doritos, but they smell kind of like cream cheese and corn chips. The aroma is pretty mild and cheese-heavy, but they taste AWESOME. 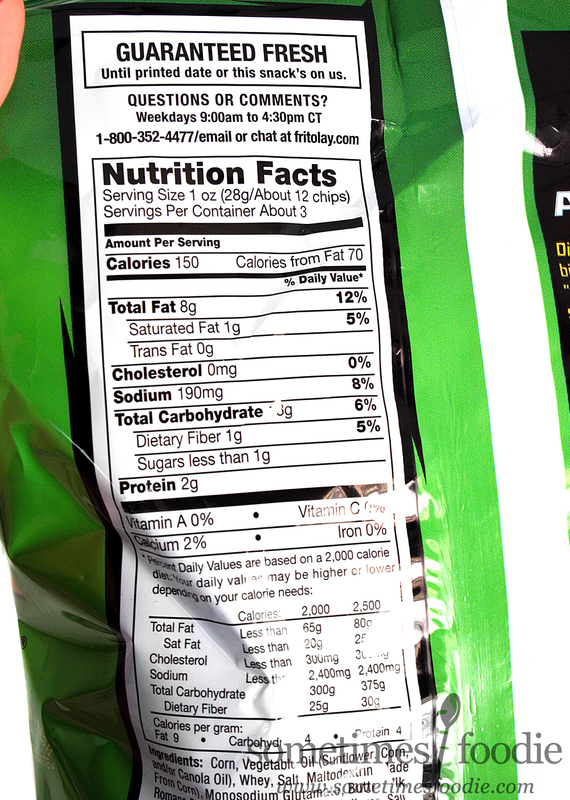 These chips have an authentic jalapeño pepper flavoring, which is really impressive, but hard to describe. There's this crisp flavoring that I always relate to raw peppers, which is kind of refreshing, but it is mixed with a good amount of artificial cheddar flavoring, but that's not a bad thing. Especially when you get that little kick of heat at the end. 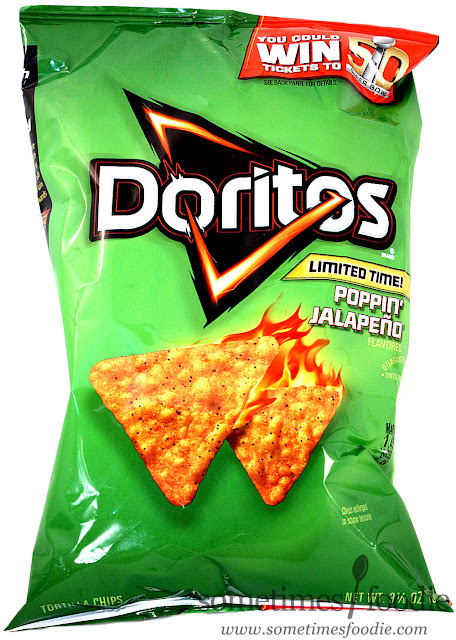 The more chips you eat, the more the heat builds up, but I wouldn't say these are especially spicy or anything. (They're probably in the medium salsa range of spiciness.) I like these a lot, but this tiny bag is enough for me. I think a full size bag would make me get a little bored with this flavoring. The controlled portion of the tiny bag keeps things interesting. 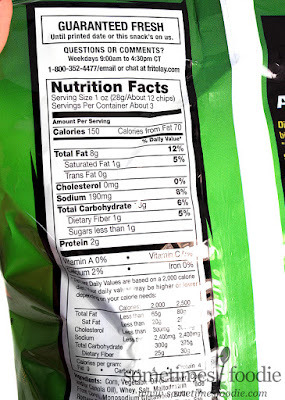 I can't see how many carbs are on the bag. 18g, there was a glare on the bag.